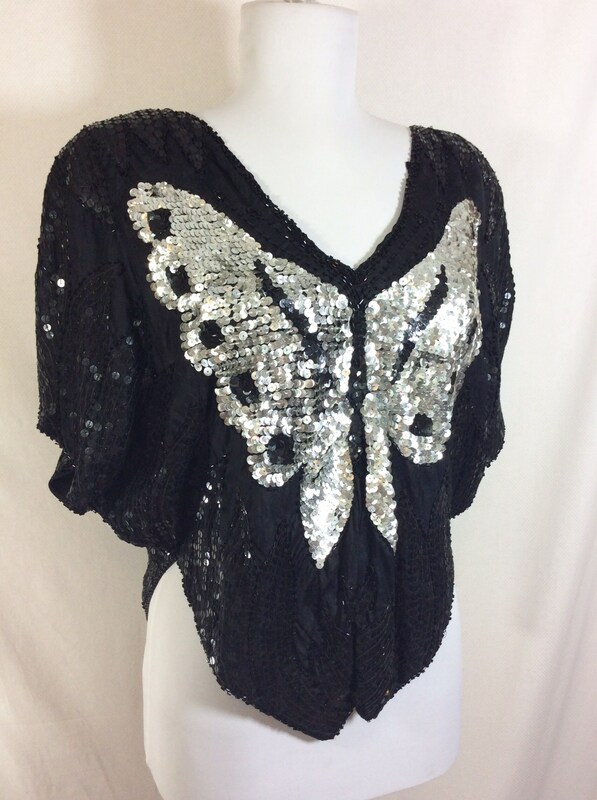 Dance the night away in this gorgeous vintage buttefly top! 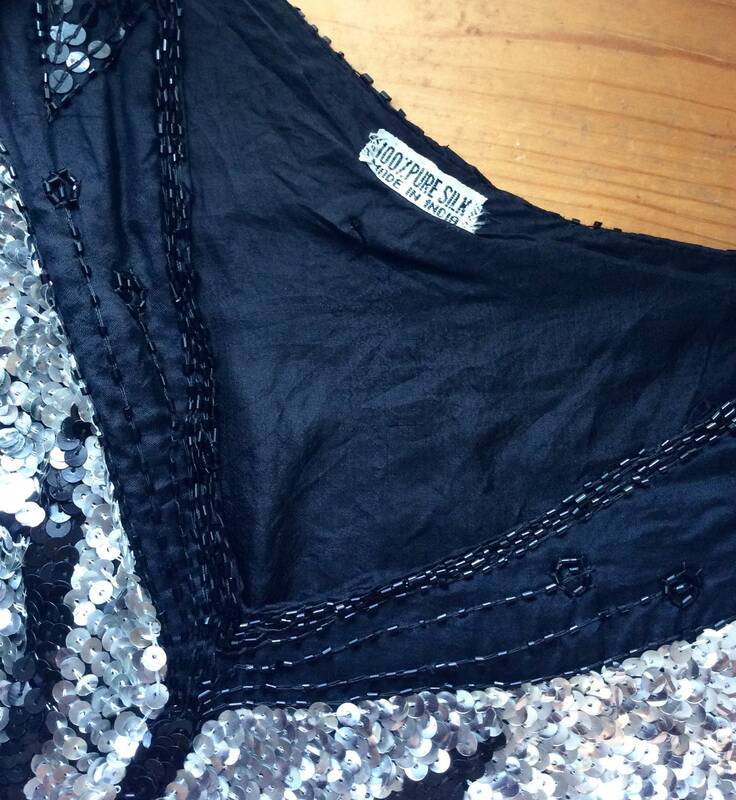 The blouse was made in India during the 1970s. It would best fit modern women's sizes 4-8. Please see measurements below to guarantee fit. 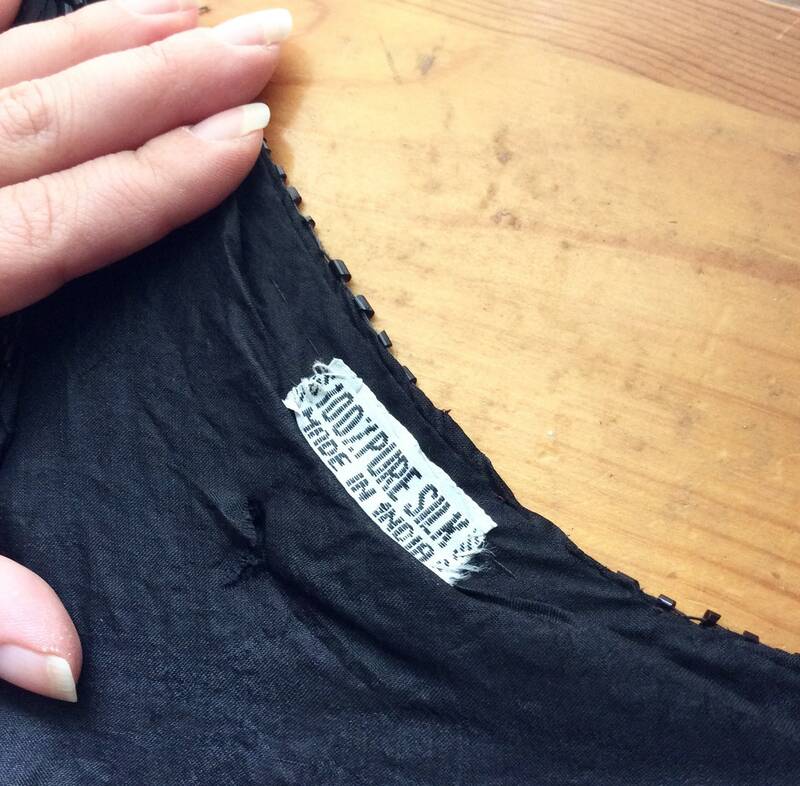 The main fabric is 100% silk that has been cut on the bias for flattering drape and movement. 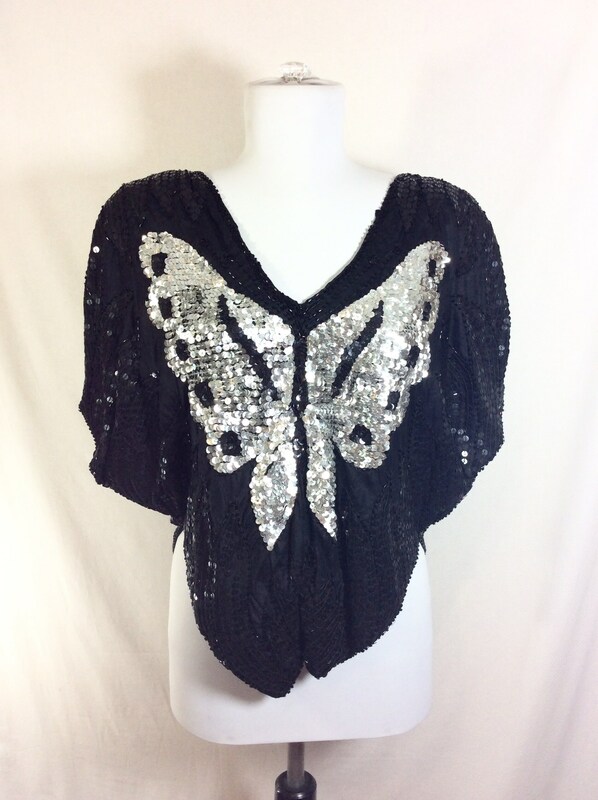 The blouse is adorned with thousands of shimmering sequins that have been sewn into a butterfly design. 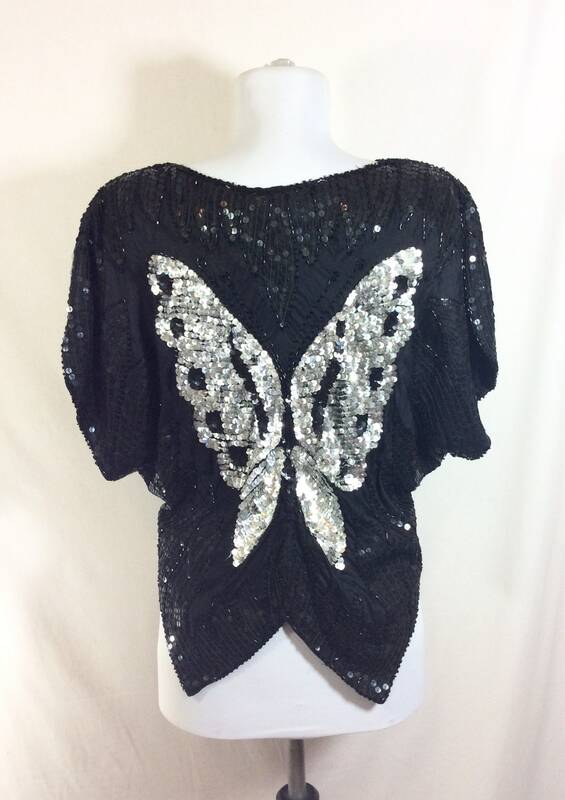 The striking silver butterflies on both front and back contrast nicely against the black background. 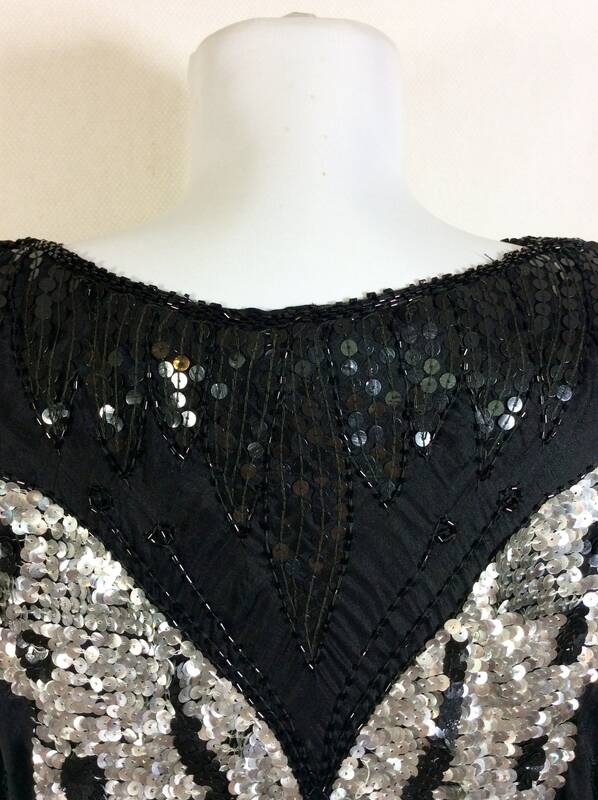 Shiny black tube beads decorate the hem and v-neckline. Both front and back hemlines are split into "tails", creating a really cool wing-like effect when your arms are extended. There are shoulder pads to create a more dramatic silhouette, but they could be easily removed if desired. 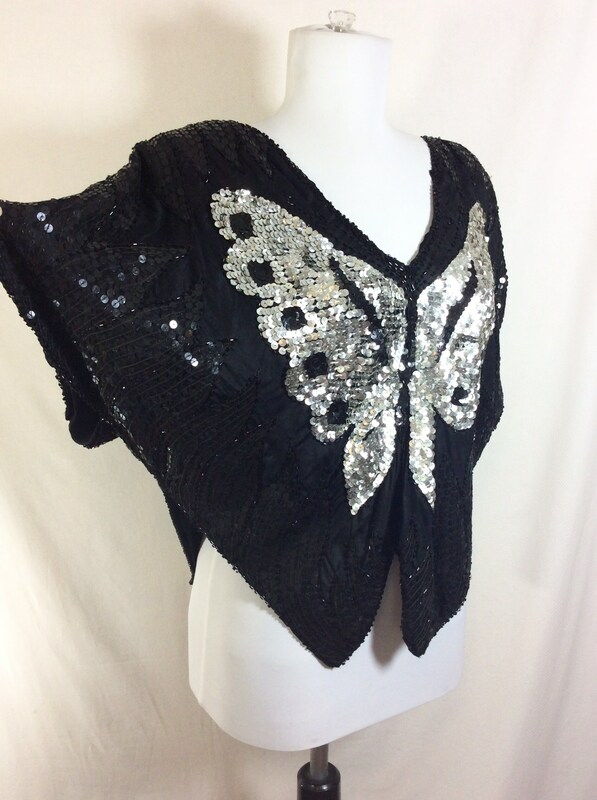 The armholes are generous, making this a great garment to go dancing in! 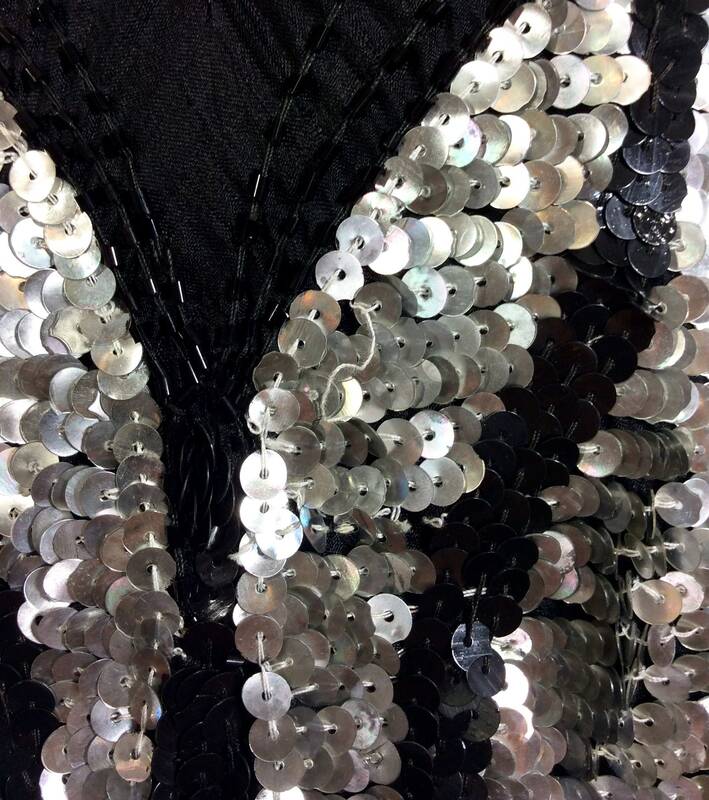 There are no odors, stains, holes, or missing beads/sequins. 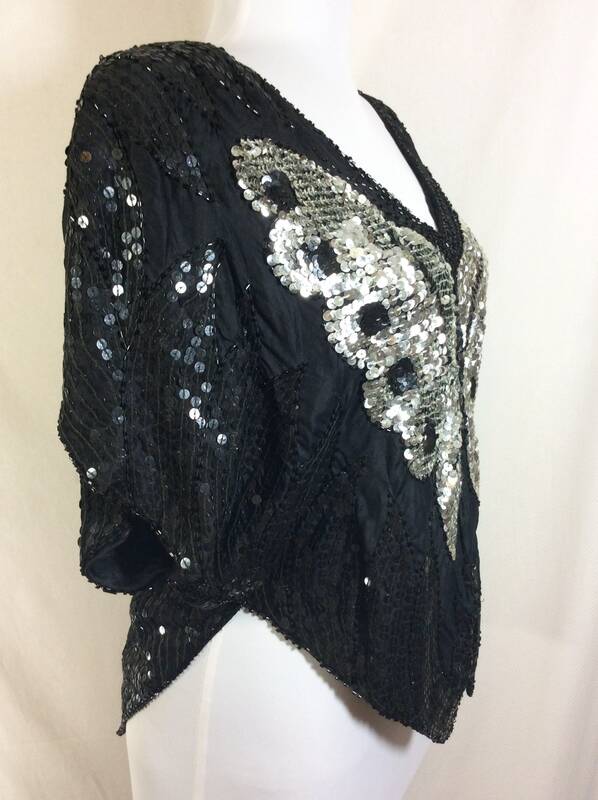 This blouse is in excellent vintage condition and was stored in a smoke-free environment. Sleeve length- 8 inches long.